Hey there, everyone!! Welcome to Lawn Fawn's February inspiration week! 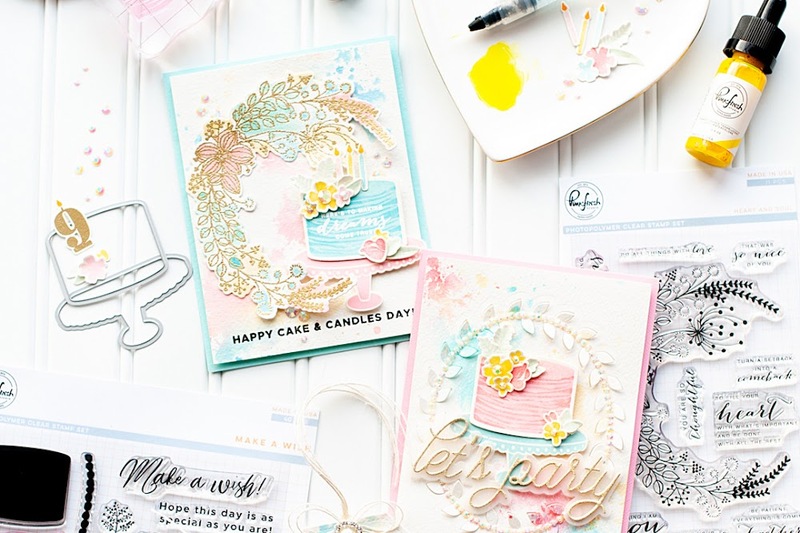 For the next few days we are going to be showcasing some of the new stamp sets, along with the new paper collection that Lawn Fawn released called "Bright Side". And the paper is what we are sharing with you today! Instructions: Make card from smooth white cardstock. Cut an aqua floral block. Diecut a scalloped edge to a pink dotted paper strip, then adhere to the bottom of the aqua paper block. 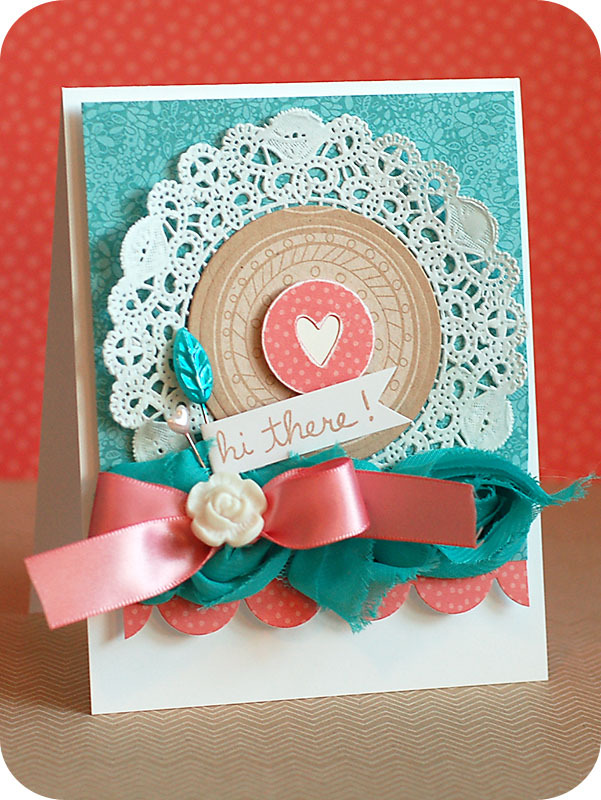 Layer a doily and kraft circle to the aqua paper. 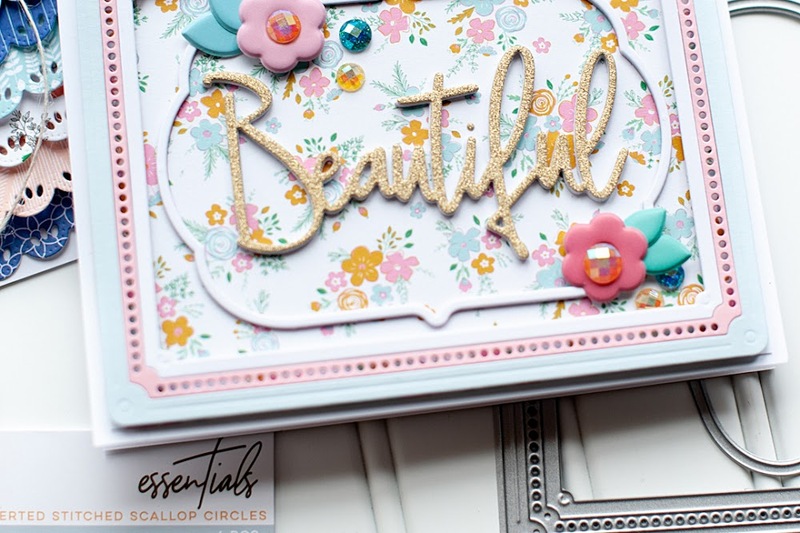 Diecut the heart circle accent from pink dotted paper, layer white cardstock underneath, then adhere to the middle of the kraft circle. Adhere a strip of aqua bloomers over the seam. Tie a bow from pink ribbon, and adhere to the right side of the bloomers. Cut a banner edge to a cardstock strip, then stamp the sentiment to it. Wrap around a leaf topped pin, then stick into the left side of the ribbon & trim on the card. Add another pink pin, then accent with a flower button. Adhere the entire block to the card front using foam adhesive. Don't forget to check out what the other Lawn Fawn designers have created for today, including our newest members!! And like always, there will be LOTS of giveaways! Be sure to follow the commenting instructions to increase your chances for winning! Your card is SO beautiful! I absolutely love the colors and pretty touches like the doily and little pins! Love those colors together! Fantastic card! Gorgeousness itself. Love the colour combo. DARLING! I just love the way you layer. 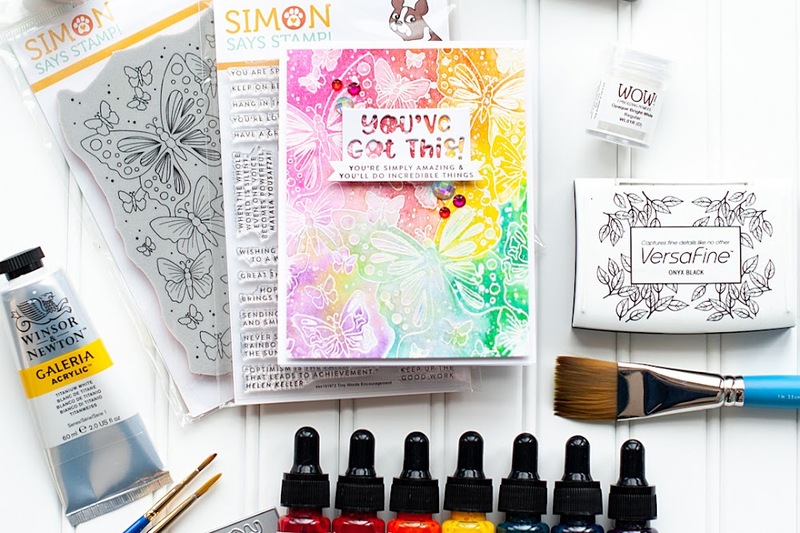 That tiny polka dot paper is so stinkin' cute! This card is so lovely. The color is wonderful and I love how you finished it off with the ribbons and pin. your card is so spring! the doily accent and the papers are beautiful.Thanks for sharing. Love the doily and those pins. I have some and have yet to use them. Very pretty card! Lea this is gorgeous as always! Thanks for playing at The Kraft Journal. Really beautiful!!! Love the colors and design! Thanks so much for joining us at PTW! so pretty! congrats on the shout out @ The Kraft Journal blog.